The rains are on the way to Chennai with monsoon supposed to pick up in few days; the work on prevention of rainwater to flood has been going on for last two days at our house. Glad the owners of our row houses decided, at last, to take preventing measures to keep away the rainwater entering the houses has made us all breathe easy and also drops our plan of shifting house. We have informed our landlord that we’re shifting house this month end and were also almost confirmed a house in the same street, but for some unknown reason they denied renting their home and we were looking some other ones. 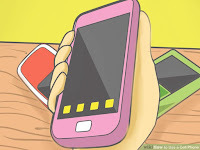 At the same time the tenant of the other house in the row urged their house owner (who connected with other two) to make certain the rainwater doesn’t flood the homes and work started within a week of discussion made hold our plan. 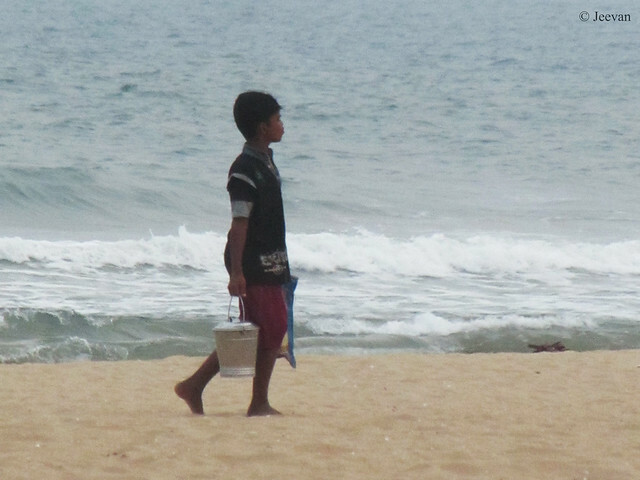 People know that last year’s monsoon turned out to be a disaster and we were not ready to take risk by believing it won’t rain that much… although it isn’t certain of any kind, precaution has been the only way. We were disappointed with the landlord of ours when they haven’t take a step in preventing the food even after the torrential rains stopped and moreover haven’t take a look into the home to examine the damages. So we had no hope on them making arrangement for preventing water, but thanks to our next-door tenant and because of his pressure they come together for a solution. And as an initial step they are building a ramp in front of the house to block road water entering the premises and reconstructed a wall that was damaged. 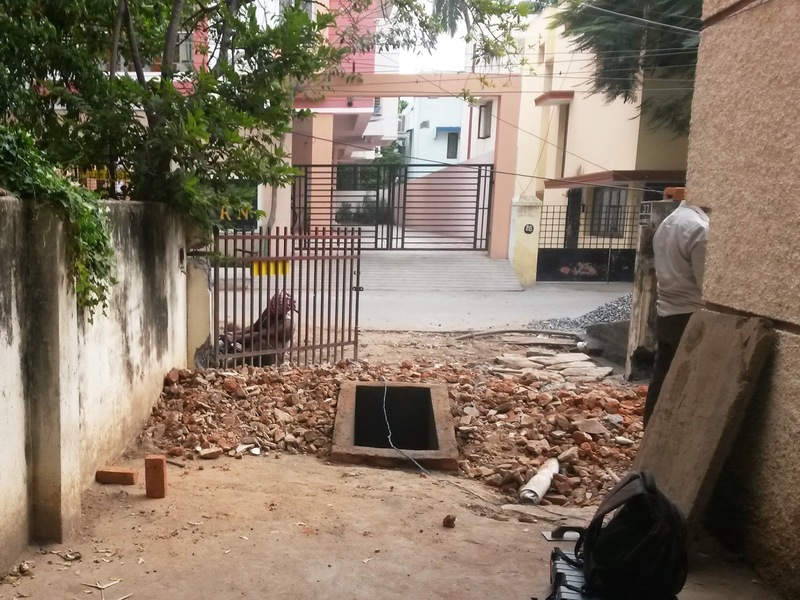 The drainage system is also supposed to rise and talk with corporation people has been put forward. It seems like I could not come out of the house for next few days until the work completes. Just a day left for Deepavali, the festival of lights, it looks like the celebration is restrain within our premises and I think I’m going to miss going out in nights during the Diwali to watch fireworks ignited in the neighborhood. Though it gives me slight disappointment, I understand the importance of the preventive action which is indeed significant than any other. I really couldn’t believe things happening on our favor, because the landlord side wasn’t bit hopeful towards us to continue our stay at this house that’s comfort at many ways. The flood water (during rainy season) has been the only trouble for us at this house, and if it was solved there isn’t a problem to sustain though there are some which is adjustable. My festival greetings to all those celebrate Deepavali. the intimacy with handset is much. united with the virtually made life. Since the evening was cloudy the sunset was pretty mild and boys where playing cricket in the foreground. 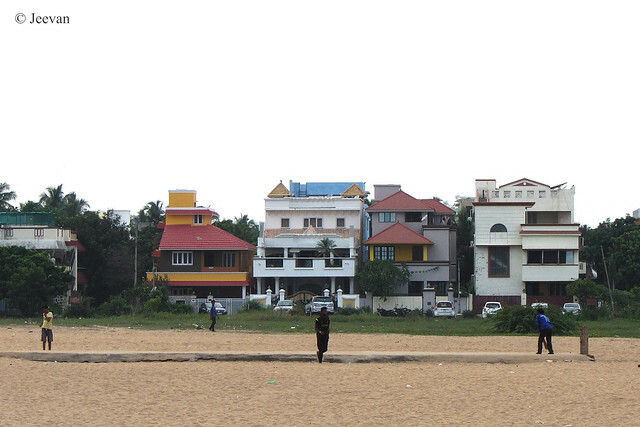 Some pretty houses line the beach front across the sandy playground… which is also the part of the beach. Sundal boy! 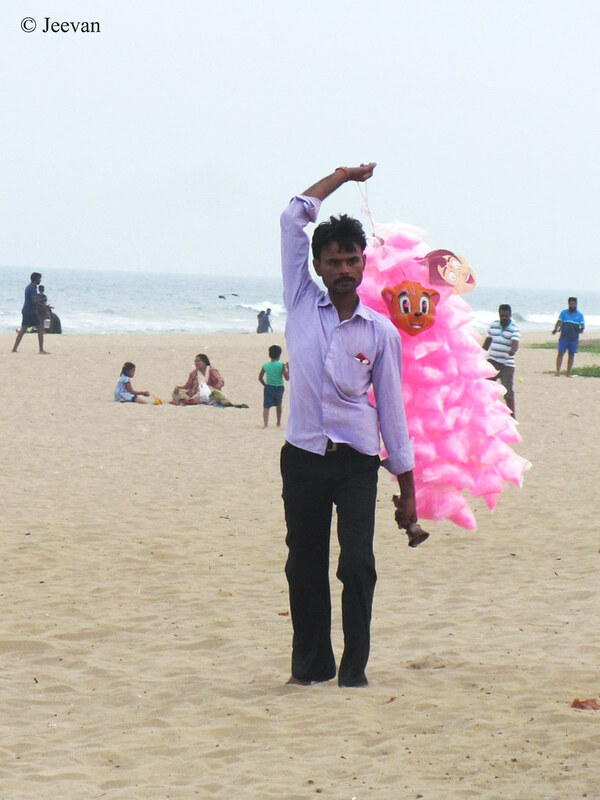 Sundal is a kind of recipe made in white peas and sold as a popular snack in Chennai beaches. Like how a wound may heal but not the scar. Three years had passed since I got fracture in leg but the scar continues to bother me invisibly and indirectly. No, I have no issues with the fractured leg but the loss of the ability to stand has affected me at various levels. I really don’t want to think about the ever painful days of my life and passing each day had been an eon then until the fracture healed and knee become flexible. My inability to stand affected my travel a lot and I am depended beyond my parents to put me into the car and having an SUV it’s quite difficult. 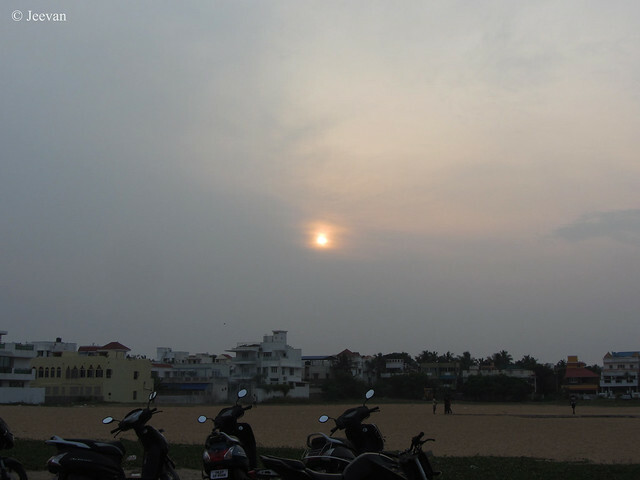 Thought I’m looking forward for a remedy by exchanging our car, the inability to stand put me down on other sides too. I believe it’s perhaps because of the loss of the standing position I experience scoliosis, due to sitting most of the day time unlike early where I used to stand for few ministers daily when transferred from once place to another. I know even if I continued to stand the scoliosis is unavoidable at later stage of muscular dystrophy, so I would say the fracture has brought steps forward reaching this position early. In last three years my travel has come down with limited distance travel and access and transferring becomes easy only with two people at aid. Many of my plans were shattered in few seconds of that slip between the bath stool and wheelchair, and the unexpected incident had made my life very difficult in many ways. I started to use traction belt for my pelvic pain and scoliosis, daily for an hour and I’m still looking for a lateral support for my curvature. 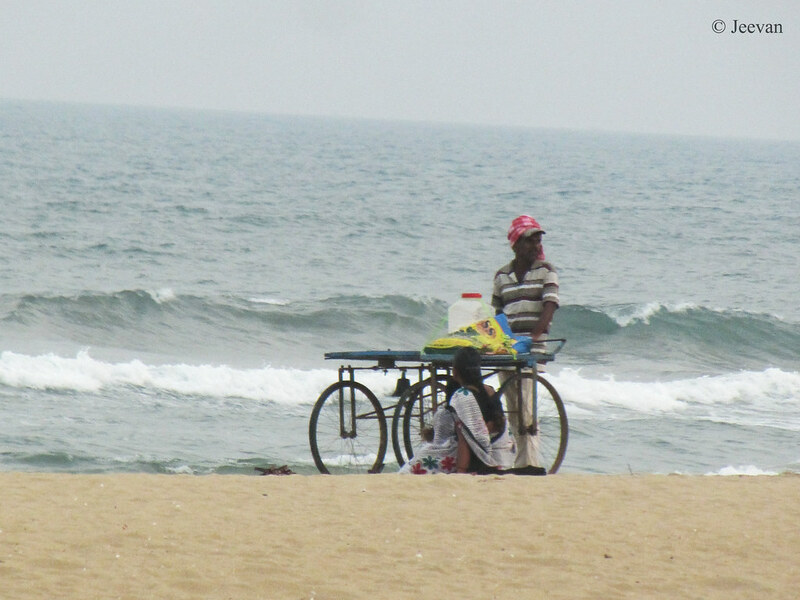 Last week I check Elliot beach and find this cart/vendor selling ice creams in not only different colors, but also named it as Ice Gola instead of Ice cream. I really don’t know the meaning of Gola and the flavors the vendor listed doesn’t seem to be natural color or taste. I watched him arranging the color bottles taking out of the box beneath and I also noticed him smashing ices and filling the icebox beside the bottles. 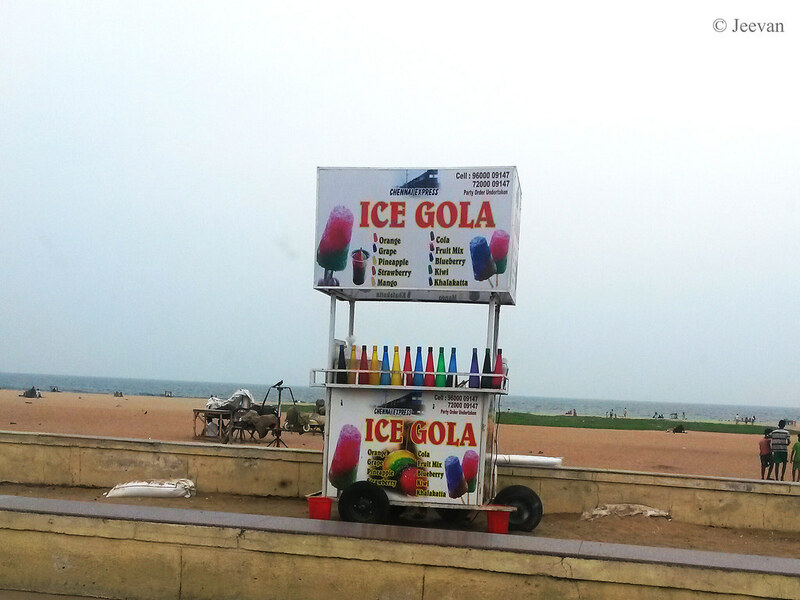 I was looking forward to see how the vendor makes Ice Gola, but no one came buying it until I was there. Maybe I was too early there and left before many people turned to beach. It was a weekday and expecting people is not possible. Meanwhile, I enjoyed kfc chicken popcorn while waiting for my dad to come back from his routine walk. 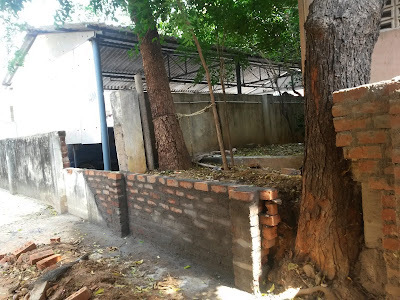 Our neighborhood in Adyar (Chennai) has canopy of trees and it provides shelter to many critter, including monkeys that intrude the same. 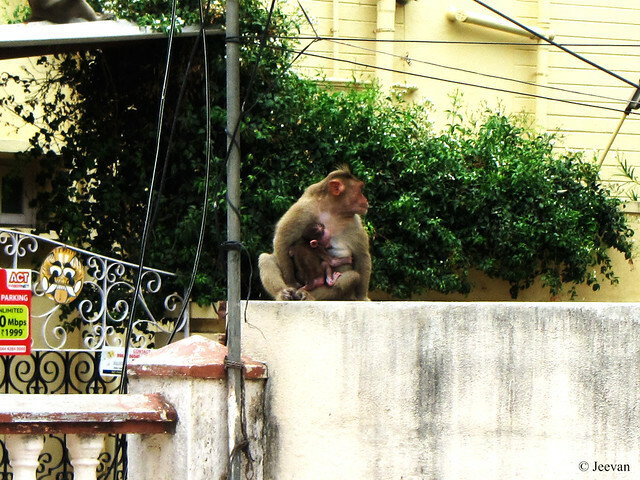 Monkeys had been our company for last few years after we shifted back to our former resident area, Adyar. 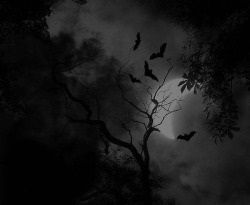 They come around our residence with no prior schedule, and if we were inattentive they are ready to carry away anything that’s possible, and mostly it’s the fruits that kept on the dining table. We couldn’t put dry anything, no matter what; they come and scatter away before we become alert. 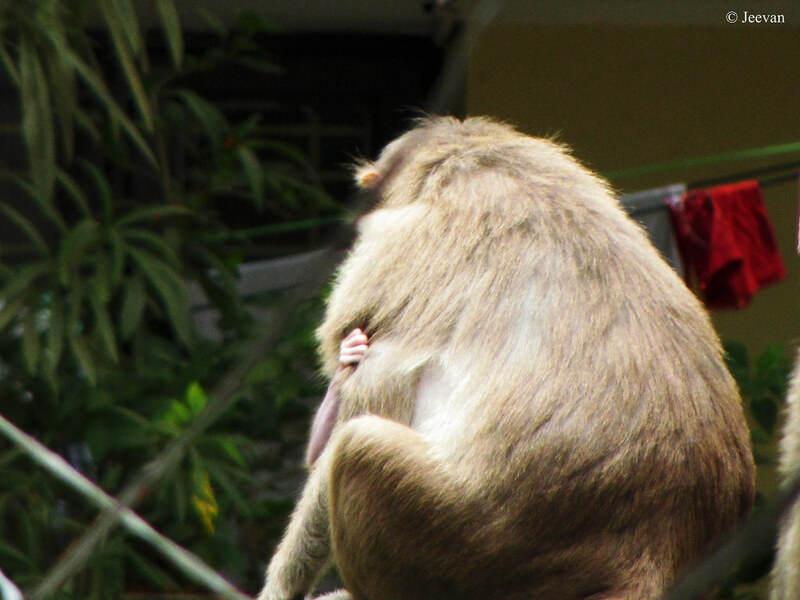 The photos here were shot last year when one of monkey’s hangout with its babe on the compound wall next to ours. The baby monkeys (there were about four monkeys babysitting then) had grown now and joined the invading group to bang the neighborhood. In the picture above you could see the tiny hand of the baby monkey holding his/her mom from before. Words fail to describe. Valparai, near Coimbatore, is a green carpet of Tamil Nadu due to its abundant tea plantation and rolling grasslands. 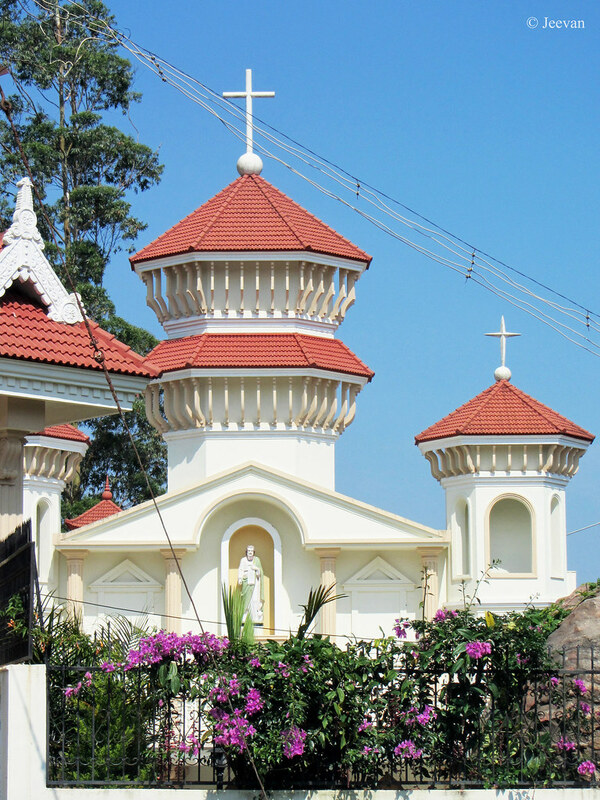 Each tea estate there has a small settlement that provides basic amenities to their employers including places of religious worship like temples and churches. Each estate has a temple and church built in simple yet beautiful and colorful structure to capture our attention. 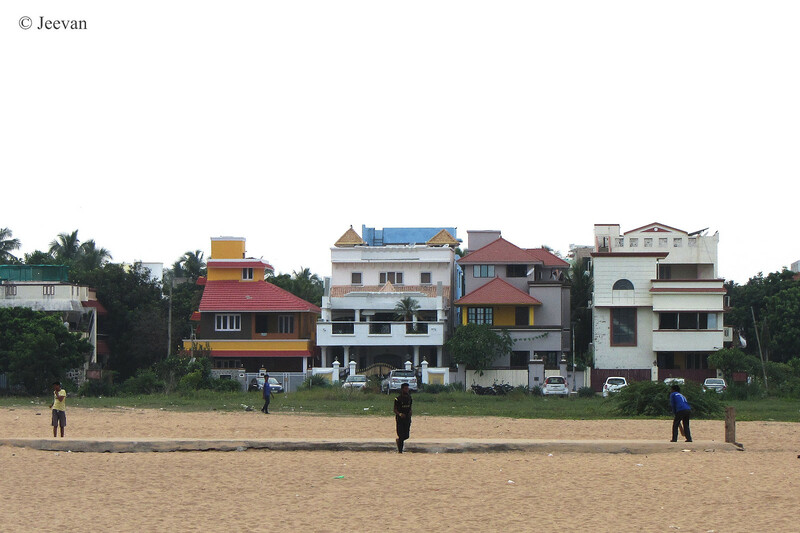 But the church above stood opposite to our relative’s house in Valparai town at the residential area of the same. Named as St. Luke's R.C. Syrian Church, has a beautiful architecture that slightly lookalike crown and interesting steeple design beside the bell tower. 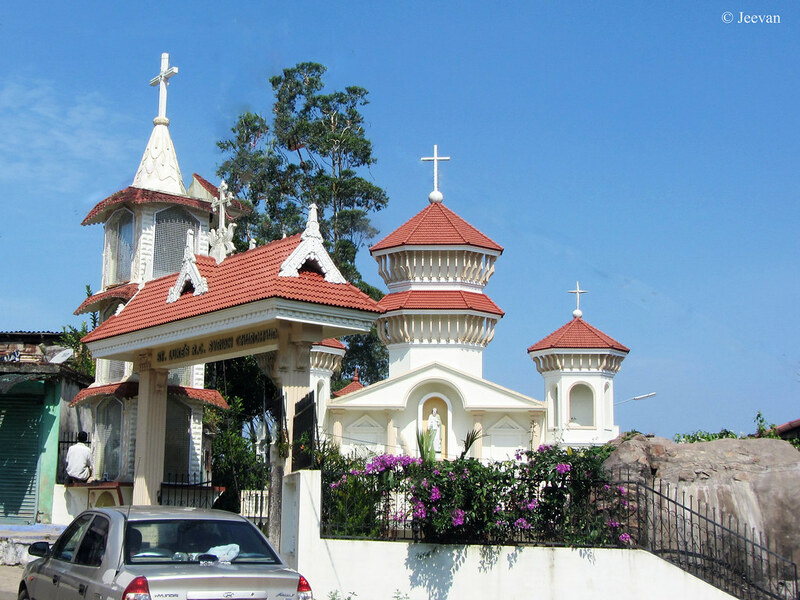 My first time visit to Valparai happened during Christmas time and this church was decorated by serial lights that continued to illuminate throughout the nights. They had also built a birth of Christ that was wonderful checking out… but accidentally all the photos taken that night was erased from camera and I even lost my DVD that hold my initial trip to Valparai in 2008. The above ones are shot in 2014 and I also liked the fence (with flowers) built upon the compound wall around the church. during a visit to same. what happened seems his favor. and early to his demise. and inclination will keep inspiring. is approachable at any time to obtain aid. at any state; he disagreed to greet us. and his privilege encloses everything. 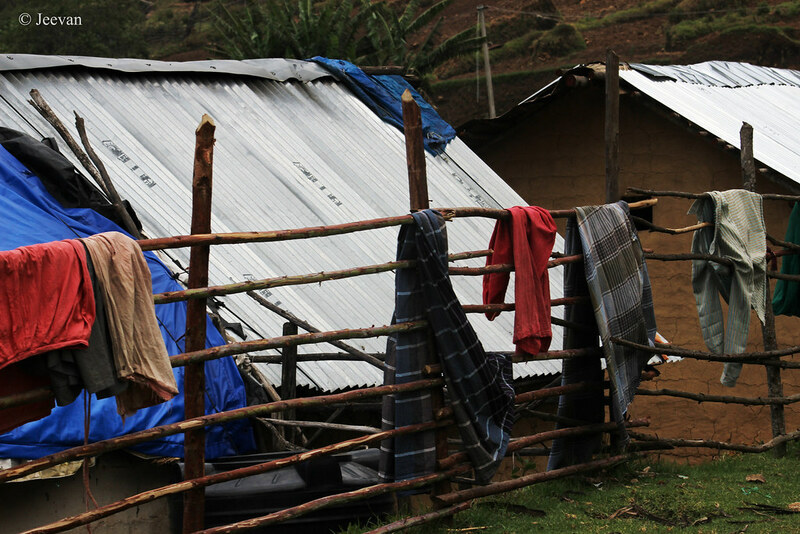 A village fence, which was built to guard their houses, also plays a role of hanger where they put cloths for dry. 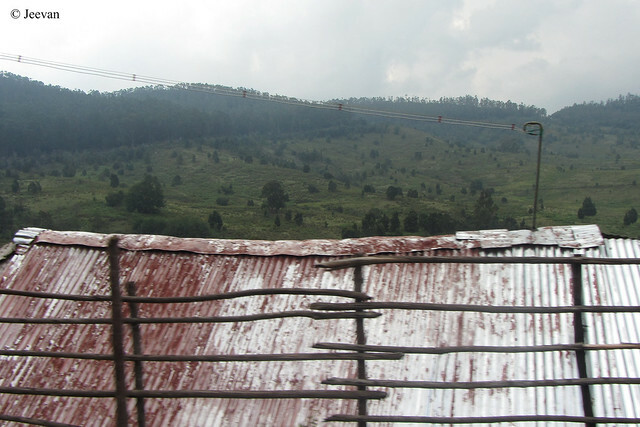 Pictures were captured at Mannavanur, a mountain village near Kodaikanal that overlooks rolling grassland and another side with terrace farming. Due to great source of meadow wild bison (Indian guar) frequent this area and thus also called as bison valley. The houses here mostly seemed to build using clay mud and bricks and roofs thatched in iron sheets, which I perhaps believe is to withstand the cold weather and mountain terrain. The unknown and look alike newly painted temple was shot at the heart of the holy city, Kanchipuram, last month when attending a cousin’s marriage. 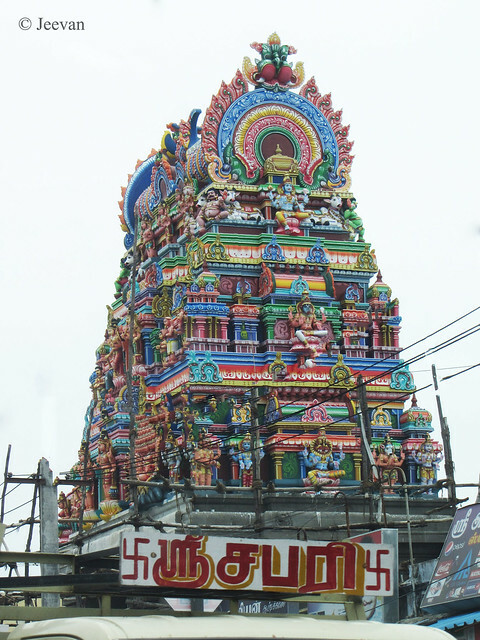 The city has number of temples and this temple tower in showy appearance caught my attention easily when slowly moved in traffic.